Mascus, the world’s leading online marketplace for heavy machinery and trucks, has entered into a strategic alliance with IronPlanet, a leading online auction service for heavy equipment and transportation vehicles. 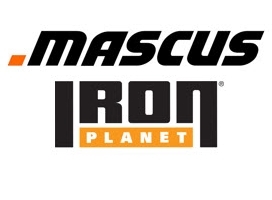 IronPlanet acquired a small minority stake in Mascus International. Dealers who advertise their equipment for sale on Mascus’ website can now easily auction their equipment through IronPlanet in just a few clicks. “As a leading online marketplace for used heavy machinery and trucks, our mission is to connect buyers to sellers and vice versa. We understand that our customers have the need to find clients rapidly. Today, they are already using different channels to market and sell their products. They work with online marketplaces and auctioneers. We want to further facilitate our advertisers by enabling them to auction their equipment in a very simple and effective way with IronPlanet” said Tim Scholte, CEO of Mascus. Mascus knows the heavy machinery auction world since 2011 and helps over 150 auction houses to promote their events and items via a dedicated section on Mascus’ website. The popularity of this auction section has increased rapidly and interest from both buyers and auctioneers continues to grow with over 90 thousand visits of buyers per month. Recognising the interest of the market in these auction type of transactions, Mascus has decided to take it a step further and help its clients to place machines on IronPlanet in an easy way.’ It is important to note that the auction section presently on Mascus will not be affected by this cooperation and will stay independent. Since pioneering online equipment auctions more than a decade ago, IronPlanet has successfully sold over $3 billion of used equipment online and has built an audience of 1 million registered users representing nearly every country on the planet IronPlanet sells equipment online with guaranteed inspection reports, attracting buyers worldwide resulting in top market prices. For more information about Mascus, visit www.mascus.com. For more information about IronPlanet, visit www.ironplanet.com. Mascus is an online marketplace for farm machinery, forestry, material handling, grounds care, construction, transportation and other heavy equipment. Product ranges include tractors, trailers, used trucks, diggers, box trailers, mini diggers and excavators. Mascus makes trading in used machinery and equipment quicker and more efficient by collecting information about the supply and the demand in one place. All dealers, producers, and end-users are welcome to offer their used machines and equipment for sale via Mascus’ marketplace. Mascus is backed by Vortex Capital Partners. For more information, visit www.mascus.com. IronPlanet is a leading online marketplace for used heavy equipment. Our sellers achieve more profitable sales through low transaction costs and better price realization through a global audience of buyers. Our guaranteed inspection reports and exclusive IronClad Assurance enable buyers to bid with a high degree of confidence. IronPlanet is backed by Accel Partners, Kleiner Perkins Caufield and Byers, Caterpillar, Komatsu and Volvo. For more information, visit www.ironplanet.com.